DYNAMIC WOMAN OF FAITH!!!!!! | AMERICAPHILE RESURGENT!!! THIS VIDEO IS SUCH A GREAT BLESSING!!!! IT IS NOW OBVIOUS THAT CAROLE LOKAN-MOORE IS A DEEPLY SPIRITUAL WOMAN LIVING IN THE FULL MANIFEST POWER OF THE DEBORAH ANOINTING!!!!! THANK YOU, CAROLE FOR YOUR COURAGEOUS SUPPORT FOR CHICK-FIL-A AND THE SECOND AMENDMENT!!! Posted in Uncategorized and tagged CHICK-FIL-A APPRECIATION DAY. Bookmark the permalink. GIN DID NOT POST THE MESSAGE PREVIOUSLY IN THIS SPOT!!!!!! IT WAS A FAKE POSTED BY A HOMO MILITANT!!!!!!! ADRIANA HUFFINGTON IS AN AMERICA=HATING, TERRORIST-CODDLING, PIAPS-LOVING LIBTARD!!!! POSTS FROM THIS MINISTRY TO HER JIHADI WEBSITE ARE ROUTINELY DELETED!!!!! Ralph, The post from “Gin” is a fake; its from one of the homosexual militants. Gin says she did NOT post it. Please delete it. Ralph, These morons are spamming your page. Why not just delete them all? 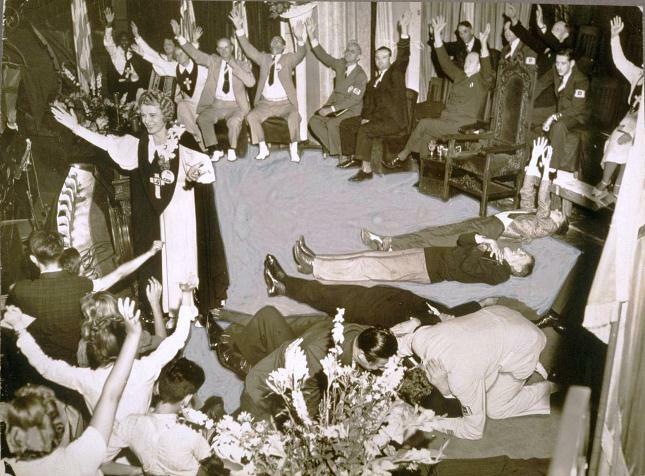 Why do you have a pic of Aimee Semple-McPherson? Pingback: THE JIM ALLISTER OF ANNAPOLIS!!!!! « AMERICAPHILE RESURGENT!!! I WILL LEAVE THEIR SPAM HERE AS EVIDENCE OF THEIR AMERICA-HATE AND MORALS-HATE!!!!! Pingback: BOBBY JINDAL FOR SECRETARY OF EDUCATION!!!!! « AMERICAPHILE RESURGENT!! !